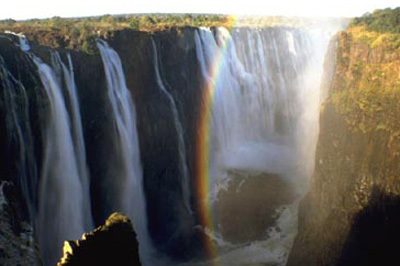 Victoria Falls is located on the Zambezi River, about 1000km from its source, the Victoria Falls are Zimbabwe's best known geographical feature and tourist attraction. 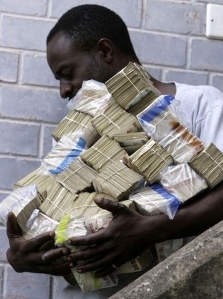 Great Zimbabwe. 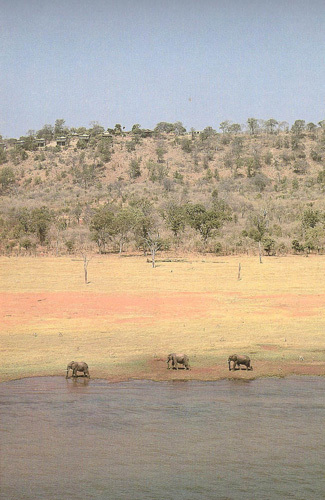 This Iron Age site, the symbol and namesake of modern Zimbabwe, lies 27km south-east of Masvingo and is the remains of an extensive town built between 1200 and 1450AD. 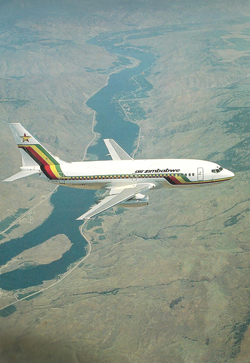 The word "Zimbabwe" is derived from the Shona words dzimba dzamabwe and means "house of stone"
The Matobo Hills, are located 40km south of Bulawayo, they are remarkable for their unusual scenery and the diversity of their flora and fauna. 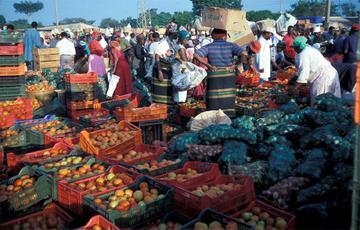 They are also a focal point of much of Zimbabwe's history and prehistory. 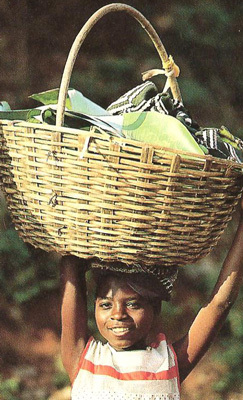 The hills were the scene of the famous indaba between Cecil Rhodes and Ndebele leaders in 1896. 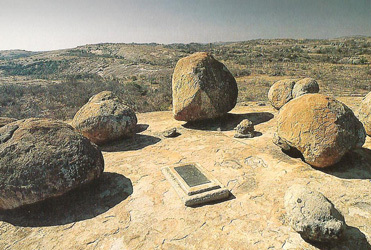 Rhodes and several other leading early settlers are buried on the summit of Malindizimu, the "hill of the spirit's", 44 km south of Bulawayo. 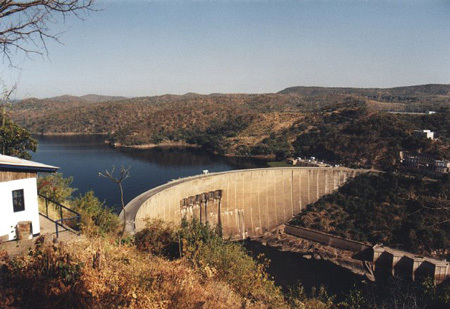 Kariba Dam was constructed between 1955 and 1959 on the Zambezi River, 620km downstream of Victoria Falls, to provide hydro-electric power to Zambia and Zimbabwe. Before the dam was built a major resettlement exercise was undertaken to relocate the Tonga people living in the area to be flooded. 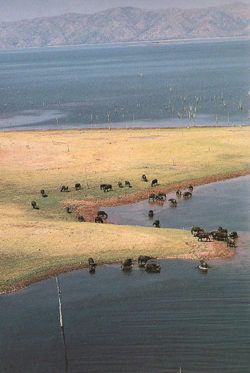 Wild animals were moved to higher ground and Operation Noah was instituted to rescue animals threatened with drowning or with starvation from being marooned. 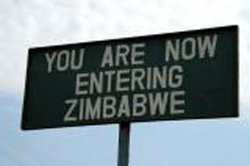 The Eastern Highlands are Zimbabwe's eastern border area is dominated for 300km by a series of hills and mountains that form the edge of the country's central plateau and are known collectively as the Eastern Highlands. 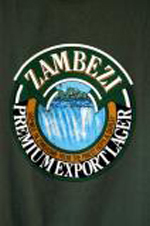 They extend from the rolling down lands and steep scarps near Nyanga in the north to the sheer cliffs of the Chimanimani Mountains in the south. A great holiday area providing trout fishing, horse riding and golf. 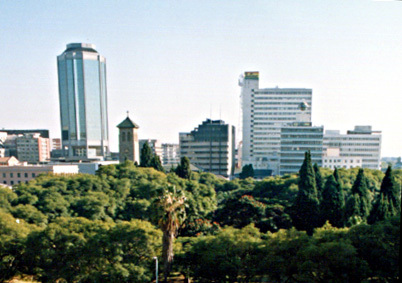 Harare (formerly Salisbury) is the capital of Zimbabwe and the largest city in the country. 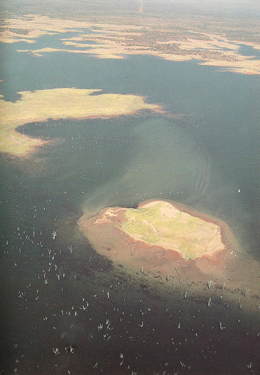 It is situated in the north-west of the country. 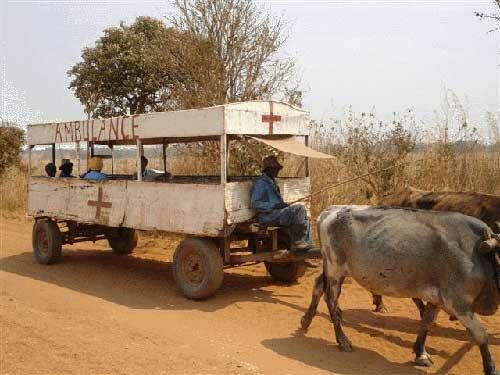 It is the seat of government and the and the administrative centre for three Mashonaland provinces. 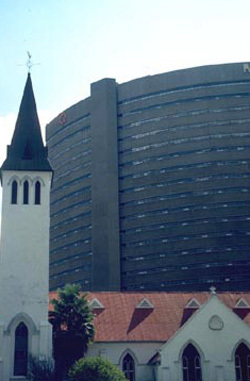 It is a focal point of road, rail and air services and has an international airport. 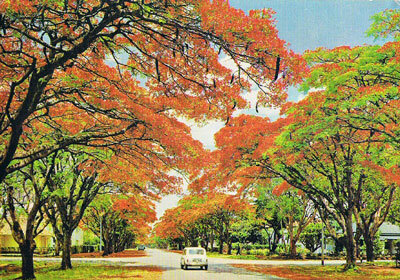 This town (formerly Fort Victoria) lies on the main Harare-Beitbridge road,292km south of Harare and 288km north of Beitbridge. 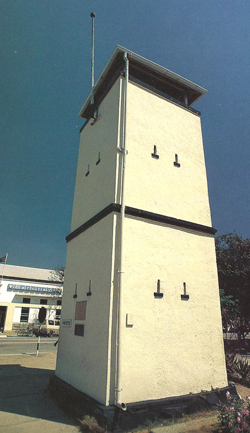 Masvingo was founded in 1890 as the first permanent settlement for whites and a fort, named in honour of Queen Victoria, was built. 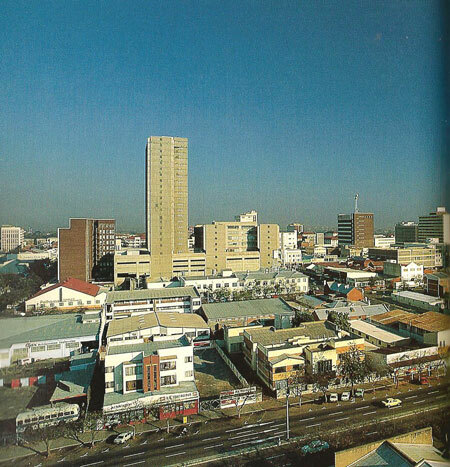 Bulawayo is Zimbabwe's second largest city and the administrative, commercial and industrial capital of Matebeleland North and South. 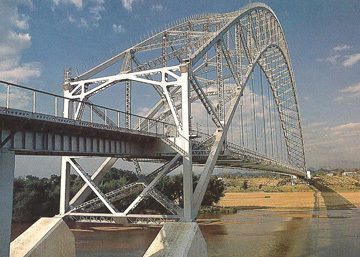 It is situated towards the south of Zimbabwe 111km from the Botswana Border. 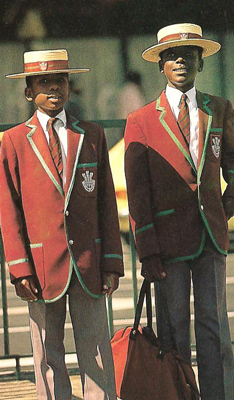 Bulawayo was originally known as GuBulawayo, meaning 'the place of slaughter'. The name was given by Lobengula after battles he fought with other regiments of his people before he established himself as King. 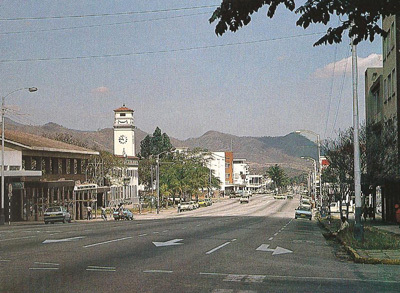 The city of Mutare (formerly Umtali) is Zimbabwe's fourth largest city. 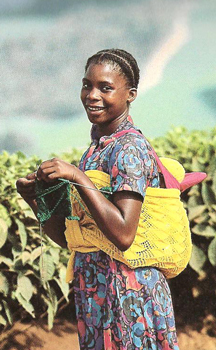 It is the capital of Manicaland province and is situated in the Eastern Highlands. 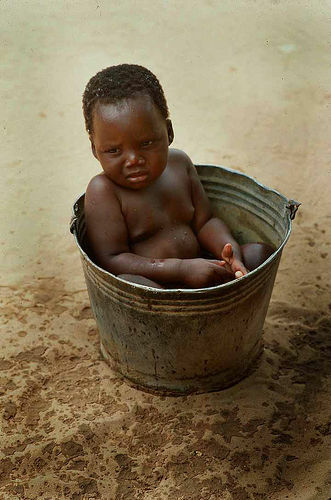 Lying in a gap through which the main road and railway link between Zimbabwe and Mozambique pass, the town being 8km from the Mozambique border. 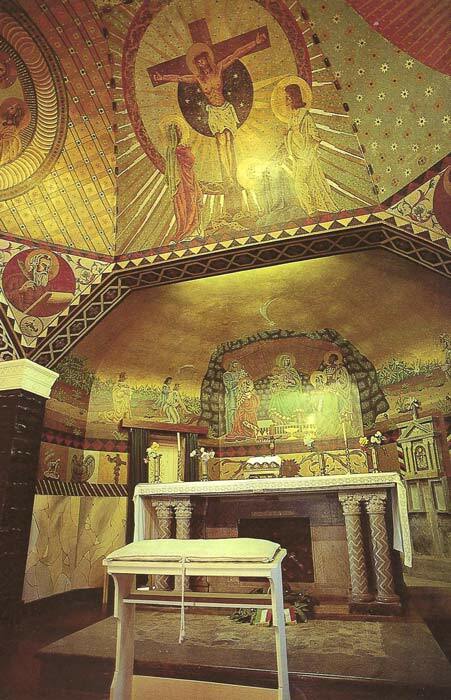 Luminous murals painted by Italian prisoners of war adorn the ceilings and walls of St. Francis Church in Masvingo built in 1940. 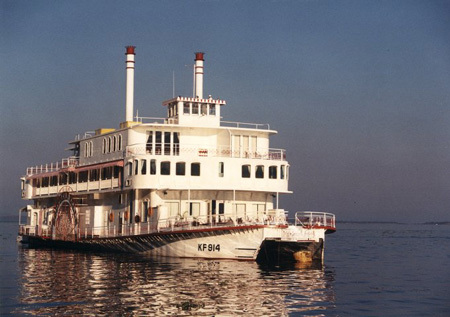 Kariba - is a favourite place for some relaxing on one of the many houseboats that can be hired to explore the islands, channels and vast expansions of water. The unforgettable scenes of the drowned trees and herds of buffalo and elephant that adorn the shores together with the orange and gold sunsets - will leave its impression on one forever. 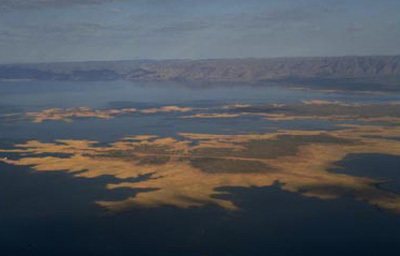 Home to many animals and birds the most favourite being the Fish Eagle who lonely cry can be heard through out the lake. 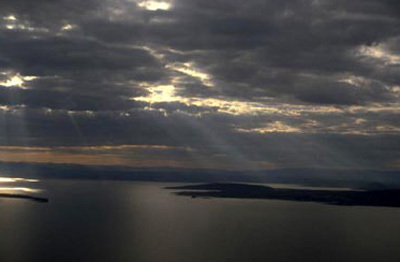 Lake Kariba is home to many species of fish, with the Tiger fish being one of the most exciting fish to catch. 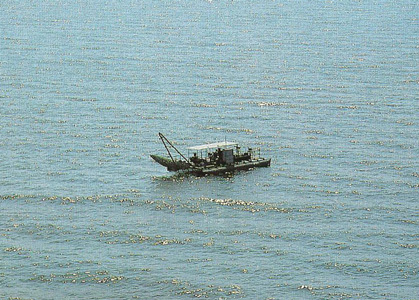 The lights of the many kapenta rigs can be seen at night as they pull in ton after ton of the little sardine type fish that will be dried and salted and forms one of the main staple dishes of the local Zimbabwean. 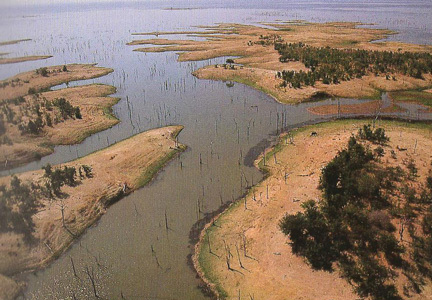 The shores of Lake Kariba - appear as undisturbed Eden. 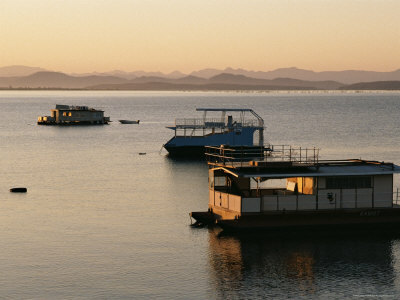 The far reaching shores of Lake Kariba with the Matusadona Mountains in the back ground. 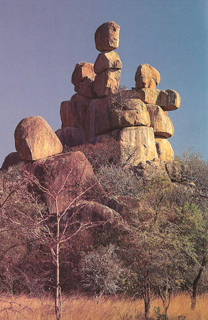 The Matobo Hills cover about 320 000ha and have been eroded from an exposed granite batholith thought to be over 3 000 million years old. 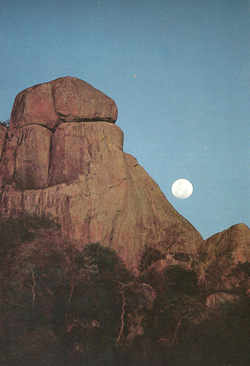 Hump-backed domes have resulted from exfoliation of the granite often forming remarkable 'balancing rock' formations. 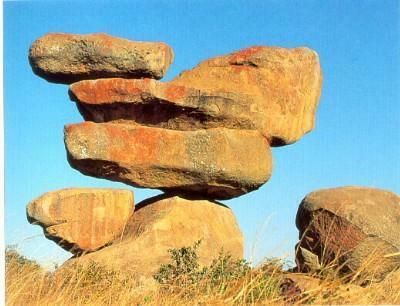 The Matobo region is particularly well known for the number and quality of its Stone Age rock art site. 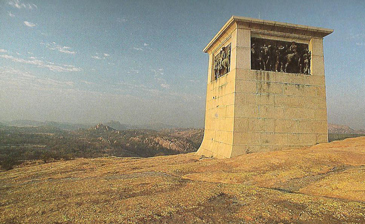 Cecil Rhodes raised this monument on top of World's view in the Matobo Hills in honour of Allan Wilson and the men who fell to the Ndebele at Shangani in 1893. 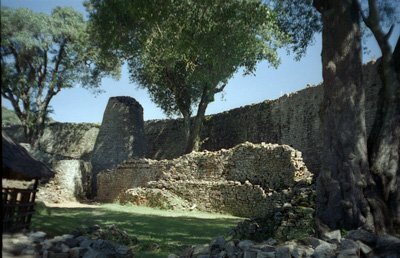 The site of Great Zimbabwe covers over 720ha and comprises mainly stone wall enclosures and areas of hut remains. 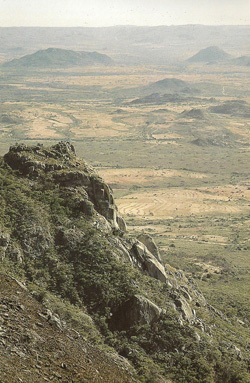 The two main geographical areas of stone wall enclosures are ; the Hill Complex, on the long, steep-sided granite hill that rises 80m above the surrounding ground; and the land below this hill where the Valley Enclosures and the Great Enclosure are situated. The stone walls, up to 6m thick and 11m high, are built of granite blocks without the use of mortar. Natural granite boulders are often incorporated into a wall which usually follows a curved line. The purpose of the walls was primarily to enclose areas within which clay structures and smaller partition walls were constructed. 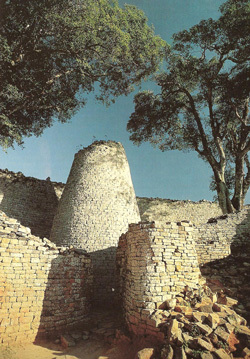 Great Zimbabwe's great enclosure with conical tower a shrine to both past and future. 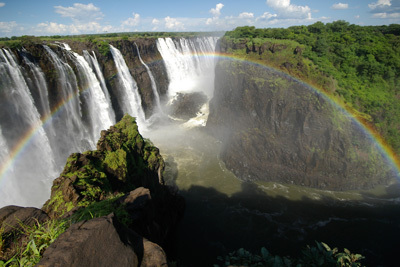 The Victoria Falls - one of the natural 7 wonders of the world. 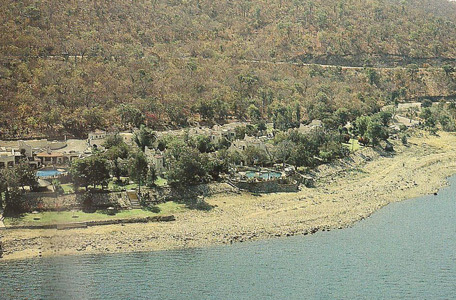 Victoria Falls town is on the southern bank of the Zambezi River with in walking distance to the spectacular Victoria Falls. It is now an important tourist centre, providing varied accommodation and adrenalin activities to many foreign and local tourists. 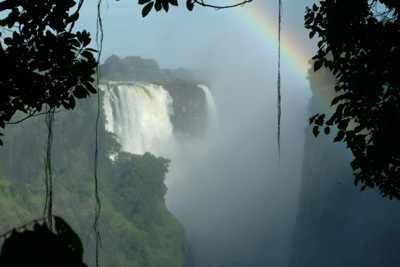 A rainbow at Victoria Falls a sight treasured by many people who have witnessed it. 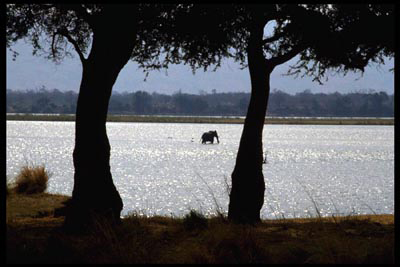 The Mana Pools National Park is 219 600ha and forms part of the extensive middle Zambezi River valley wilderness complex stretching from Kariba Dam downstream to the Mozambique border. 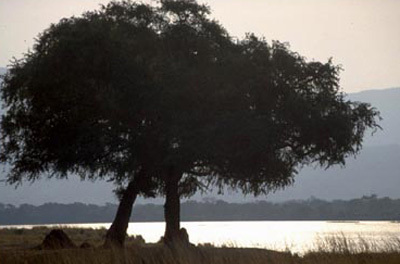 Widely recognised as one of the finest and least developed wildlife and wilderness parks in southern Africa. 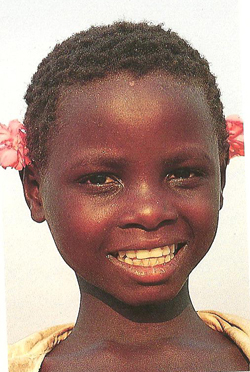 It has good numbers of most indigenous mammals and a wealth of birds species. 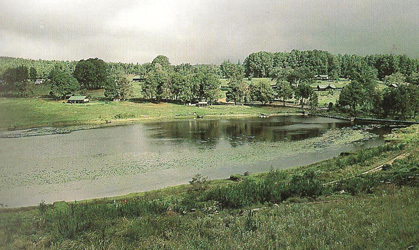 The Nyanga National Park lies at the northern end of Zimbabwe's Eastern Highlands. 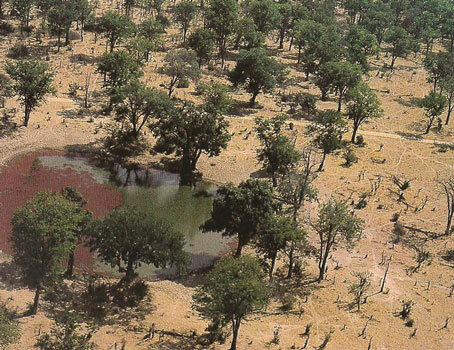 It is well watered by numerous streams and rivers and holds a number of exotic pine forests. 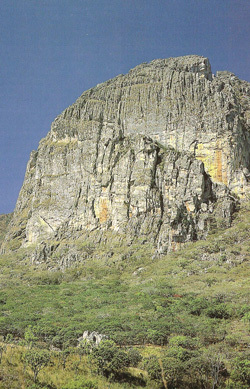 The park is dominated by Mount Inyangani which lies at its north-eastern extremity and is the highest mountain in Zimbabwe at 2 592M. 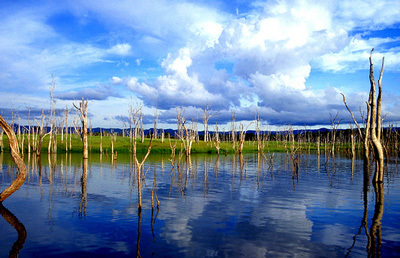 The Pungwe River rises at the foot of the mountain and flows southwards through the park before dropping 240m into the densely wooded Pungwe Gorge. 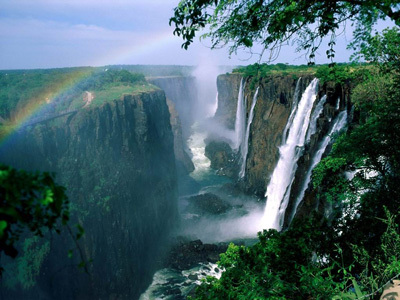 The Mtarazi Falls, a few kilometres south of the Pungwe Gorge, have a 762m drop and thus are Zimbabwe's highest waterfall. 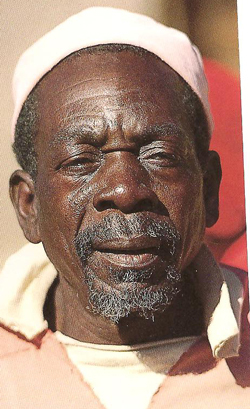 The largest of the indigenous communities are the Shona and secondly the Ndebele. 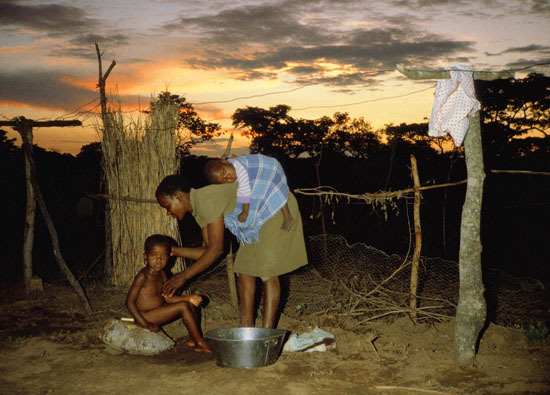 Others communities are the Tongo people of the Zambezi Valley, most of whom were displaced and resettled when Lake Kariba was formed, the Sotho, the Hlengwe of the south, and the Vendao, a small group of hunter-gathers. 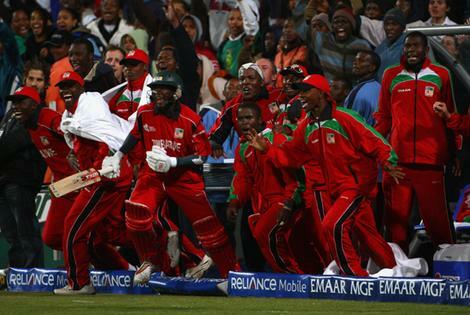 Zimbabwe cricket team celebrating a win. Kirsty Coventry (Swimming) a Zimbabwe heroine with three medals at the 2004 Summer Olympics in Athens and another 4 medals in the 2008 Summer Olympics in Beijing.